Phonexa's Software as a Service solutions are designed to alow businesses to reach their optimal ROI by optimizing their call technology. 5. advanced technology is always a plus! 6. easy to communicate and show my clients their trends. The reports I pull, usually take about 1-3 seconds to load, but some larger data like a 2 year range, may take an extra 3-4 seconds....I guess the system has spoiled me and dropped my tolerance for waiting on reports. When I see declining trends, I reach out to my clients and I'm almost always correct that something has happened. They are able to then internally review and make a change to improve their numbers. "Excellent Call Tracking & Reporting Capabilities. " Phonexa is easy to use and navigate. They have excellent customer support and are always there when you need them. Additionally, Phonexa offers a wide variety of reports, that help you gain deep insights into your calls, and marketing efforts. It takes a little while to learn the platform because of how many various features and reports there are, but once you understand them, you really can take advantage of the data that Phonexa can offer. The Phonexa dashboard gives you an excellent overview of how many calls are coming and how the campaigns are performing. When you're looking to dive in for more in-depth analytics, Phonexa offers a wide variety of granular reporting, that go above and beyond at providing the information you need to make informed choices. In addition to already having amazing reports and integrations, they are always working hard to create new reports and features, made with the users in mind. I've tried various platforms before, but this one is hands down the most user-friendly, and granular. I've never seen this many reports in my life! I've done my best to find something that it can't tell me, and have failed miserably! That it took us so long to get rid of our old system and start using Phonexa! It has saved SO much analysing csv's and data trends. We are spotting opportunities in minutes rather than hours/days, and our business has grown month on month since we started using the system. This system is easy to setup campaigns with, manage my ping tree and has also help me grow my business. I also love the reporting it has. It's such a large platform that learning everything is takes some time, however the account managers are always available to help me. Should be able to host outbound call tracking as well. Growing my business, managing overhead spend on traffic, optimizing campaigns. Prior to being on Phonexa, I used to run direct with several networks and be frustrated at the multiple campaigns I would need for this. Phonexa allowed me to monetize all my leads from one campaign, and the reporting allowed me to optimize not only my campaigns, but my ping tree as well. I have full control of my leads and data and can remarket when I choose. Platform is fast and easy to use. I'm able to seamlessly move through different reporting and analytical tools to get what I need. It has features that I haven't seen in any other platform. So far, there isn't anything I dislike. There are many various features to explore so it will take time a bit of time to fully learn the platform. There's so much that you can do with this platform. You're going to be able to see an overview of everything and also have all the features to dive-in and get a more in-depth analysis. I'm able to track, monitor, and measure performance very easily to optimize business. The system is so easy to navigate and there's a lot of features that I can customize based on my needs. I like the up to the minute data and extensive analytical reporting you are able to acquire from the system quickly and efficiently. I love the dashboard where it shows up to the minute stats on volume and revenue. No dislikes, Just the system is very robust so it does take time to understand and get use to. If you looking for a robust platform that will increase your ROI and help you optimize on traffic this is the software to use. I use the system to track overall performance for my affiliates. If I ever see a shift in volume I am able to quickly respond to my affiliates to work with them to increase and help them make the most profit. "We finally found the one!" I really appreciate being able to do everything in one platform. From call tracking to ping tree management, accounting, and my email campaigns. Everything works together and tracks seamlessly. I can see a lead from the time it is generated to monetization on the backend and know exactly how much revenue is being generated. The system takes the guess work out of doing business and keeps me from having to log into multiple systems. It takes a bit of time to learn all of the features and how everything works. Luckily the support team is very responsive. Do the demo so you can see what it has to offer. Once you start using, always reach out to their support when you have questions. Even the smallest of questions. They are very responsive and help you get through those tough moments. Being able to filter my leads and send them to my buyers was key. They set up custom filters, forms, etc for us which help us be very detail oriented in the leads we are bringing in. I really like how user friendly it is. I'm able to navigate easily and if I ever have questions, I'm quickly helped by their client services. I haven't run into any obstacles as of yet, but I'm comfortable knowing that if I do there will be someone to help guide me. You won't be disappointed. Great software! Reporting is very easy to gather and read. Great for tracking, analyzing and optimizing. It is an excellent product, it has all the required functions for our accounting daily functions. Marketing has become seamless since using LMS Sync. The tracking and reports are so detailed, it has really helped improve conversion and ROI month after month. I wouldn't say it's something I dislike but it takes some time to learn how to use the platform, as it offers so many features, reports etc. But our account manager is excellent and is always available to answer questions and queries - amazing customer service. LMS Sync is invaluable for our business. The campaigns and reporting that it generates and creates are incredible. Very easy to use platform, great first class support, tons of useful stats. Able to see some stats that we otherwise were not able to track. Easy to change settings and parameters in ping tree. 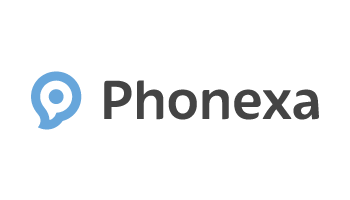 "Phonexa takes out all of the guesswork"
* We monitor all Phonexa reviews to prevent fraudulent reviews and keep review quality high. We do not post reviews by company employees or direct competitors. Validated reviews require the user to submit a screenshot of the product containing their user ID, in order to verify a user is an actual user of the product. Hi there! Are you looking to implement a solution like Phonexa?